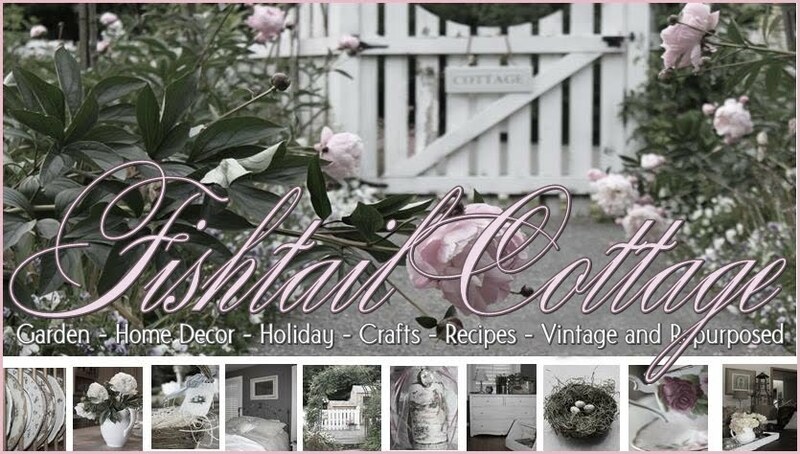 Fishtail Cottage: Dreamy Whites Scale… "
Over the 2013 Christmas holiday season, I was the lucky winner of Dreamy Whites Giveaway! Not only did I receive a Wintersteen Farms Wreath, but I was also the recipient of $500. towards Dreamy Whites Store! Recently I spotted this gorgeous scale on Dreamy White’s Facebook page and decided to order it with a portion of my winnings. I am so glad I did because it arrived last week and fits in here at Fishtail Cottage just perfect. I have to share with you how beautifully wrapped the scale was – to see the care that went into this shipment from Dreamy Whites made me all the more excited to unwrap my new treasure! I even received a lavender linen bag that I tucked in the linen cabinet in the master bathroom. Two Ironstone plates were included with this purchase ~ I’m proud to say these are my first ironstone plates I've ever owned! I can see why they might be addicting for some of you! We are getting ready to do a little dining remodel ~ so the scale hasn’t found it’s place quite yet, but I assure you it will. For now it will sit on the dining hutch until I have to start packing everything away! I didn't realize that you won that giveaway. How exciting! That is a great scale! Congrats! I've always loved their greens at the holidays. I would have snagged that scale, too! What a lovely giveaway to win! Love the scales how wonderful for you to have won. I was so happy when I saw you won! I love the scale. I have a scale fettish of 14 now! Have a great day! I love Dreamy Whites so I am sure your scale is as gorgeous as it looks in the pictures. 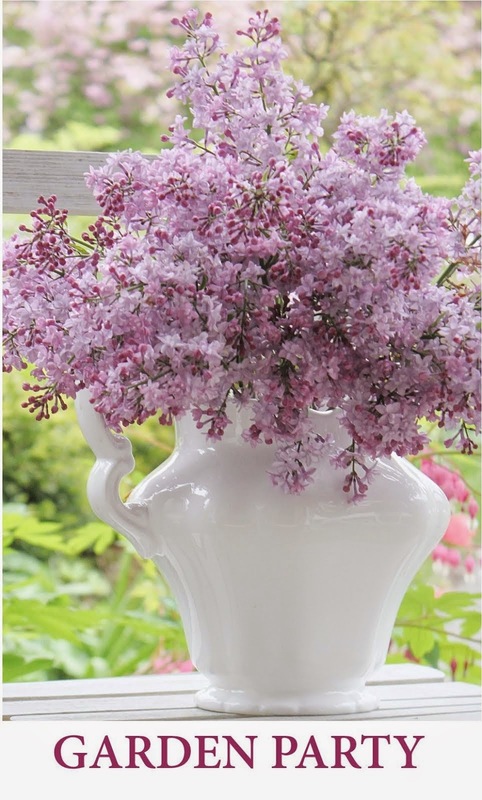 And how wonderful to receive the lavender bag and the ironstone plates. Have fun with your dining room redo and finding a final resting place for your scale.